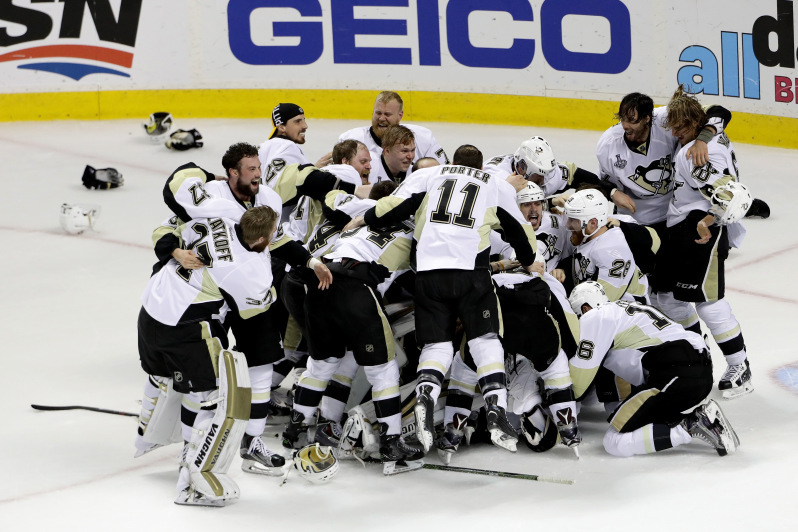 2016 saw a year of high highs and very little lows for the Pittsburgh Penguins. Our writers were along for the ride the entire way. As a result we look back at our most popular articles of the year. Before we knew exactly what was in store for Matt Murray, Brian asked aloud "What to Do with Matt Murray?" None of us are afraid to look back in hindsight and laugh at ourselves. Few posts are this more evident than Brian's post in which he argued against the Carl Hagelin trade. Whoops. "Stop the Madness!" Brian tapped in to the anger of a lot of NHL fans when he wrote this article on a fan petition to remove Mike Milbury. We're still waiting for this to be honored... "The Fan Vote: Bye Bye Mike Milbury"
A few months in to Mike Sullivan's tenure Brian looked at some interest statistics detailing the difference between Mike Sullivan and Mike Johnston and found one surprising one. "The Most Shocking HCMS Stat"
After Olli Maatta signed his cap friendly deal in late February, Nick made a LOT of waves by asking if cap room will be made with a Marc-Andre Fleury trade. "Is a Fleury Trade on the Horizon?" Our entire run of Penguins Villain brackets was massively popular. You can go through the entire run right here. The NHL announced yet another outdoor game. Now the date is around the corner but back in March this was big, new news. "Penguins to Face Flyers in 2017 Stadium Series"
Brian, once again, made waves by trying to convince readers that Ben Lovejoy was not the answer to replace injured Olli Maatta in the line up. "Say No to Ben Lovejoy"
With Marc-Andre Fleury injured and Matt Murray starting, Brian wondered if Matt Murray was ready to handle the grind of the playoffs. "Can Matt Murray Handle the Playoff Load?" The Penguins were rolling and steamrolling everyone. It was time to state the obvious to Nick. "The Penguins are Better Than You." Rob Rossi is... a controversial figure. We like him but it's true. As such Paul took at the look at the ten most Rossi moments. "10 Times Rob Went Full Rossi." Eric Fehr was a big part of the 2015-16 success once he was inserted in to the line up. Stacey wrote a note to the Capitals thanking them for letting him go. "Letter of Appreciation to the Capitals." Will got tired of all of the stupid, unoriginal, and unfunny "Cindy Crosby" jokes that he did something about it. And it was off the charts popular. "Stop Using Sidney Crosby to Prove You're Sexist"
As Marc-Andre Fleury recovered from a concussion, Lee took a peak inside his recovery. "The Mind of Marc-Andre"